“Paige is one of a kind” — true statement. She’s freaking awesome. I know all parents like to think their child is special (all kids are special, it’s true!) but I always thought there was something different about Paige. Frankly, when put in a group with other kids, she has always been different. 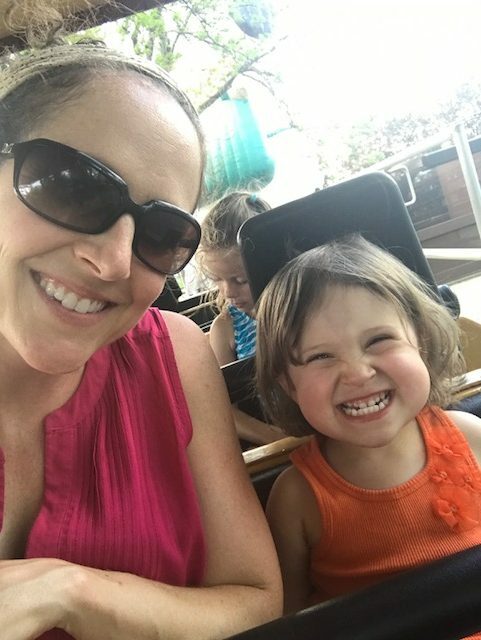 To me, it was different in a bad way; I would sign her up for gymnastics and she refused to do anything unless I was with her (the only child who would not participate without mommy), I would sign her up for swimming and she would cry during the lessons, not wanting to be a part of the group. Paige started preschool this year and the teachers have said (but no longer say) “she won’t participate in circle time”. During the Christmas party at preschool she was the only one who refused to go up on stage and sing (seriously, the only one). The girl is so loud and full of energy and life and spirit, but when it comes to group settings, she clams up. I never wanted to define it as “shy”, I knew it was something else. After all, she says hi to people at the grocery store, talks to just about anyone…not necessarily what you would define as shy. I would always just say she was slow to warm up. I’ll take you back to Paige’s infant years. Paige was always easily startled. She would hear a pin drop and jump! I am still not sure if that’s typical of infants (Cameron is sort of the same way). 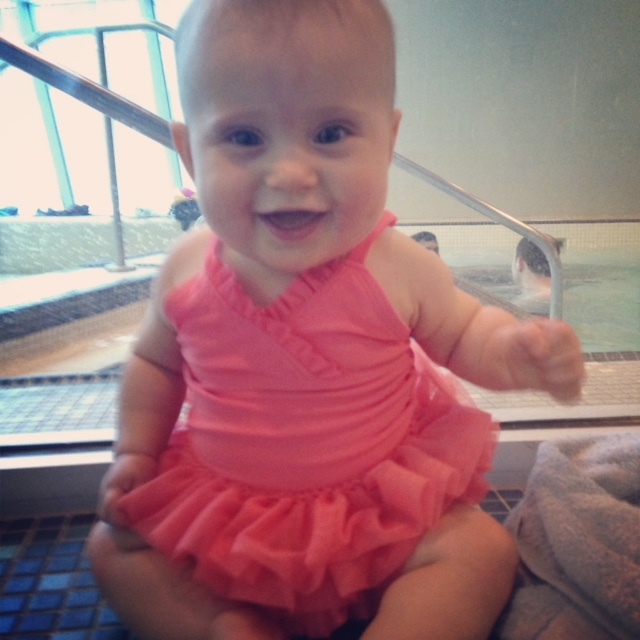 Paige started swim lessons at six months and made it clear that she did not like water in her face. To this day she hates it. Paige started a weekly “Jumpin’ tots” class at age one and always seemed, uncomfortable. She was slow to warm up. She didn’t want to listen, she just wanted to do her own thing. Typical, yes, but even after six weeks of classes she still didn’t like being in the group, whereas the other children were finally listening and (generally) doing what they were told/participating. First day of swim lessons, age 6 months. No, she still can’t swim. In fact she recently told me she doesn’t want to actually learn to swim until she is 4. HA! She prefers just playing in the water (and not getting her face wet). One day recently (age 3.5), after returning from a first day of a new type of swim lessons (where Paige refused, once again, to get in the water without me, and I wasn’t allowed to get in!) I typed “Sensitive Child” into Amazon. I decided to purchase the book called The Highly Sensitive Child. It was the best purchase I’ve made on Amazon to date. The book described Paige perfectly. It’s official; I have a Highly Sensitive Child, and just as I thought, she’s absolutely special and unique (blushing) but if not raised correctly, things could go south (taking these words from the book). I’m not saying that I need a diagnosis to make myself feel better, and I’m not saying that it’s necessarily a fact that she is a Highly Sensitive Child, but knowing that she fits the criteria will help me so I don’t get so angry and emotional when she doesn’t participate in activities, and when she reacts in certain ways (such as crying when being punished even the slightest). Now, I have at least somewhat of an explanation that isn’t along the lines of “she’s just shy”. It turns out, Paige fits the definition of a sensitive child. She takes a while to warm up, she gets easily overwhelmed by lots of stimulation (and is therefore difficult to calm down), she notices everything (sites, sounds, my bad breath (ugh), any change in routine or space). Now that I know this about her I respond to her differently, and hopefully in a much better way. 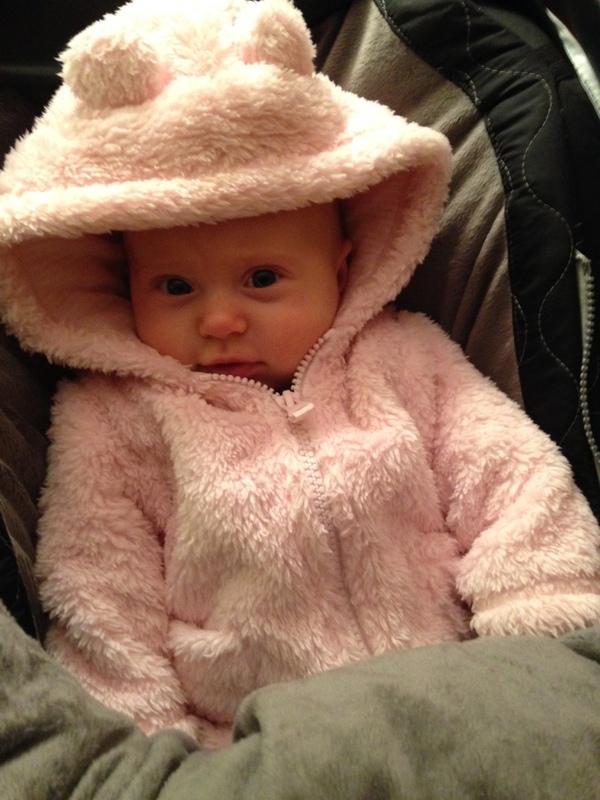 For example, when she starts crying because she is overly stimulated I will no longer tell her to “calm down” (oops!) I will give her space and comfort. This was the first day she was overstimulated! Brought her to a restaurant and she was inconsolable for hours. Jr. Explorer Club is giving away a month of FREE carwashes from Moo-Moo Carwash! Second year birthday party; happy girl, went south when we all sang to her. 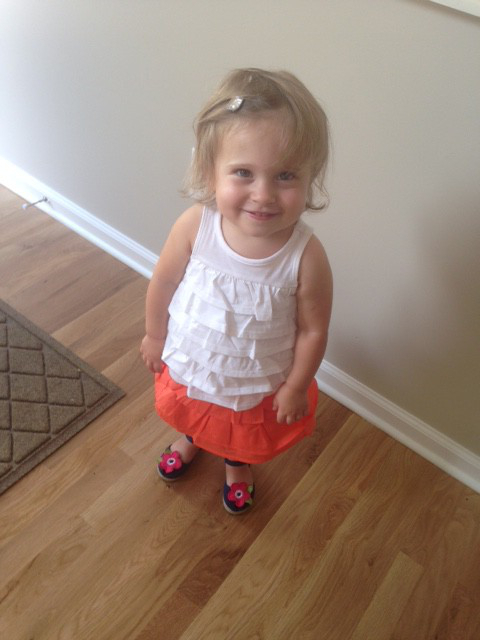 Paige started speech therapy at age two, since she wasn’t quite reaching appropriate speech milestones. After about ten sessions we quit (because Cameron was born and I just gave up on everything, ha!). By the time she was two and a half she went from barely speaking, to speaking better than most kids her age. I describe it as; she was closely listening and practicing how to talk all along, she was taking it all in, and learning so much, but she decided to talk when she finally felt like it (and now she talks at a level beyond age three, because she has been listening to use talk, so intently, for so long, and we talk a lot….two Italian families if you know what I mean). Highly Sensitive Children process things more fully, which means their highs are higher but their lows are lower. This is so true for Paige. This is true with many toddlers but if you are curious to see if your toddler fits the many other traits of a HSC, I recommend the book, written by Elain Aron, and found here. Although I can’t say Paige is easier to handle now, at least her personality makes more sense to me. When I put her sock on and she makes me rearrange it so the “tag” doesn’t feel weird (socks don’t have tags) I no longer get frustrated (ok, a little) instead I remind myself that she senses things to a greater degree than most. And, I love her for it. Something else that’s unique is that she notices everything, you can’t pull a fast one on her; I guarantee she will notice. The best quote form the book; “To have an exceptional child, you have to be willing to have an exceptional child” — this is the quote I will live by for the rest of my life with Paige, because the fact that she is exceptional is a blessing and a curse. She has not been easy to raise, but we can finally say it’s been the best experience of our lives. Paige started all day preschool this year and while it was a rough transition (typical, I know) she is flourishing now that her teachers understand her better (I shared this book with them!). She is strong willed to the max, energetic, playful, funny as hell, and yes, sensitive as can be. For that, I love her. Feel free to e-mail me if you have any questions or want to share stories! UPDATE: After posting this blog a reader shared this wonderful article called “Stop Worrying About Your Sensitive Child”. It’s worth the read. To read more of Gina’s work, visit the CandidRD website!